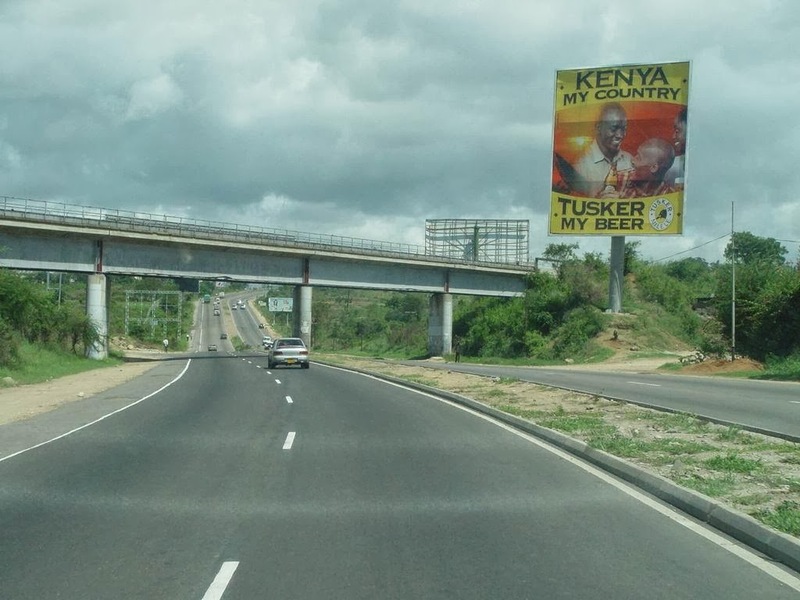 THE PURPORTED rivalry between Tanzania and Kenya on matters of infrastructure development is hot hair, say experts. The time to invest in the central corridor is now. And Tanzania need not feel guilty of seeking investment partners on the corridor. There is nothing new in Tanzania entering into joint investment projects. She has done the Arusha-Namanga-Athi-river road with Kenya and is also doing the –Voi-Taveta-Holili – Moshi road jointly with Kenya. Therefore the notion that Tanzania is investing on this corridor to spite Kenya is dumb, say experts in Nairobi. A substantial stretch of the Central corridor traverses Tanzania. Therefore it is in the country’s interest to connect unlinked regions for trade and development. It is also in the country’s interest and those of her neighbours to extend the central corridor to her neighbours since by definition, the corridor ends and starts at the Dar-Es-salaam Port. A report released in April 2013 by the Africa Development Bank shows that the central corridor is scantly used due to the fact that much of it is not paved. Consequently, average annual daily traffic on large sections of this corridor is less than 1000 vehicles only 40 per cent of the corridor boasts of an AADT of more than 1000 vehicles. 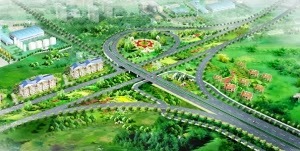 The implication is that investment is needed on this corridor to make it a viable route. Experts in Nairobi describe this as “hullabaloo over nothing.” The transport infrastructure in question forms what is called the Central corridor. The central Corridor is, by definition all land transport infrastructure- rail and Road that begins and or terminates at the Dar-Es-salaam city in Tanzania. It links Burundi, Rwanda , D R Congo and Uganda. However, for all practical purposes the central corridor is the more appropriate route for Burundi and parts of D R Congo. For Burundi, it is 400 Kilometres shorter than the Northern Corridor. 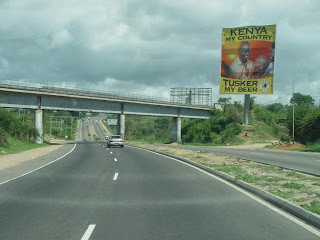 Ndogo Kundu Road Designed to ease transport at Mombasa Port. What of Bagamoyo and Dar -Es- salaam Ports? Tanzania is a large country, measuring nearly a million square kilometres; she needs as much physical infrastructure as possible to open up the country. She needs no permission from anyone to develop her internal infrastructure, say analysts in Nairobi. If the Central corridor were efficient, it is ideal for Burundi and D R Congo. However, it is inefficient forcing traders to use the relatively efficient Northern corridor. According to the African development Bank report mentioned earlier, imports to Burundi through Dar-Es Salaam take 33 days to reach their destination. They take 29 days to travel through the Port of Mombasa. Of the 33 days, clearing through the Port of Dar-es-Salaam takes 25 days, it takes 21 days to clear through the Mombasa Port. That is why there is need for investment in support infrastructure to ease congestion at the Dar Port. That is why, Uganda, Rwanda and Kenya agreed to build a standard Gauge Railway line on the northern corridor to ease the cost of transport of imports and exports in order to support faster development in their countries. Construction was launched three weeks ago. The Railway will cut cost of freight by 60 per cent and reduce travel time to two days from Mombasa to Kampala and three days to Kigali. Such speeds will not escape notice of businessmen in Burundi, and D R Congo. Before then, they agreed on removal of Non-tariff barriers that has improved efficiency at the Mombasa Port by 300 per cent. Imports to Kampala through the Mombasa Port now take 5 days to reach their destination by road down from 15. To Kigali, imports now take 8 days down from 22 days a few months back. The implication here is; to Bujumbura, imports could take less than 10 days compared to 33 through Dar-Es Salaam. And while still at efficiency of the transport infrastructure, Tanzania has opted to build a large port at Bagamoyo. 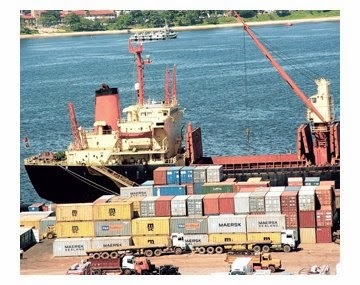 This is a sensible move for Dar-es- Salaam port suffers structural limitations. The port is billed the largest in Africa, with a capacity to hold 20 million TEUs a year compared to Dar-es-salaam whose capacity is 800,000 containers a year. New roads and railroads will connect to existing road and railroad networks, and these will also undergo upgrades. The port construction project will include the building of a new 34-kilometre road joining Bagamoyo to Mlandizi and 65 kilometres of railway connecting Bagamoyo to the Tanzania-Zambia Railway (TAZARA) and Central Railway. Improving the transport infrastructure on the central corridor will go a long way to eliminate bottlenecks to the Bagamoyo Port. Musyoka wa kyendo 2012. Picture Window theme. Powered by Blogger.